Are you a hunter? Do you love the outdoors? Have you hunted in Africa before? Then you will probably know that there is (almost) nothing as enjoyable as sitting around a campfire, sharing hunting stories with friends and family! This page is all about African Hunting Stories. Telling your hunting story or experience to others gives you the chance to RE-LIVE all those memories. It gives all the people with whom you share your story, much joy. It also add to their knowledge of the outdoors and hunting. Well... it is showing off YOUR KNOWLEDGE to friends who share your passion! Fellow hunters... Here is a great opportunity to share YOUR hunting story with the world! Want to read great African Hunting Stories? Click here to enjoy earlier submitted stories! Just imagine sitting with your best hunting friends around a campfire... telling your story. 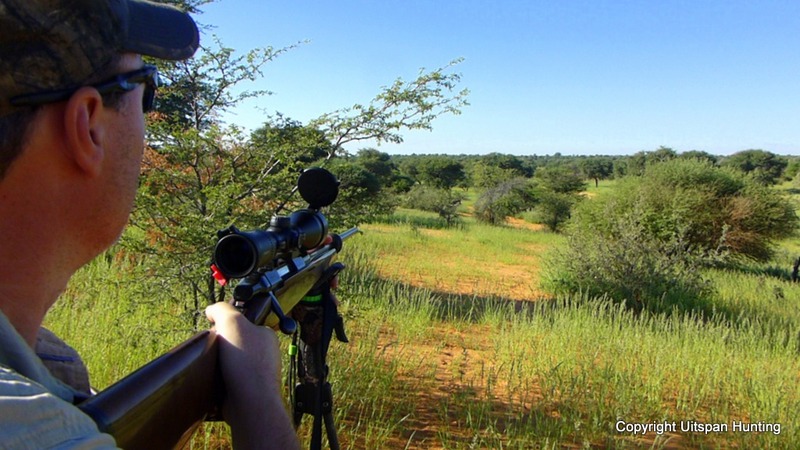 We've started this "African Hunting Stories"-page with a special contest some years ago. for the author and his partner. "You Only Go Around Once..."
Great and exceptional stories were received and all of them (and more) are listed below. Take time to read through them - you'll feel like being on an African Hunting Safari yourself. 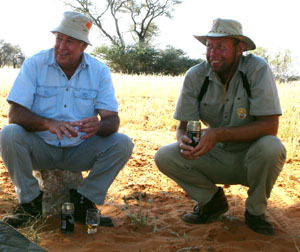 Read also John Palffy's detailed report of his Kalahari hunt in Namibia, Africa. - or share YOUR OWN! 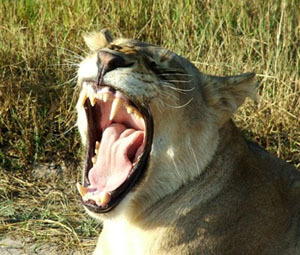 Note: These African hunting stories may be rated by visitors to our site. So... visit again to watch readers' ratings for your story. You will find other visitors' contributions just below the form. about a learning / enriching / memorable experience you really have had during your actual hunt in Africa. contain foul language or indecent photographs. Father Hendrik and son Michael... hunted many years together. Share the Best of Your Experience in Africa! Do YOU have a great story to tell about your African hunt? It will be enjoyed by people from all over the globe... for years to come. Thank you in advance for sharing it with all of us! Do you have a picture to add with your hunting story? Great! Click the button and find it on your computer. Then select it. Youngsters hippo hunt adventure ! Impala bow hunt with Mr.Murphy! Preparing a young hunter for success. My scary Black Mamba story! There's an Impala you want to shoot! Hartebeest are "hard to bust"
Read Terri's story of her experience in Namibia.